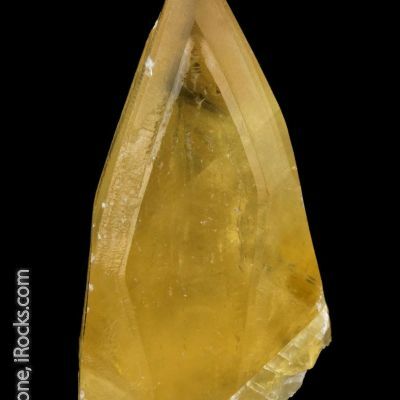 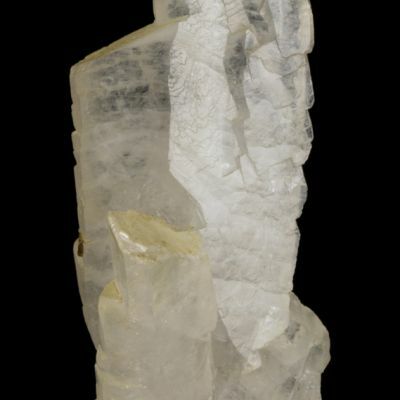 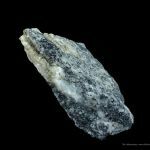 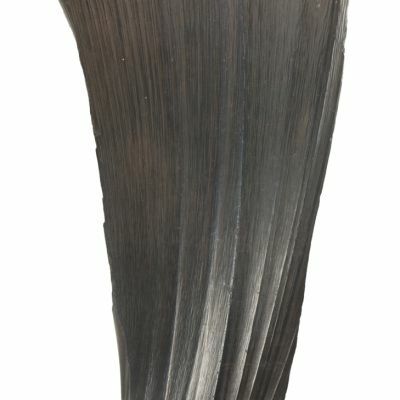 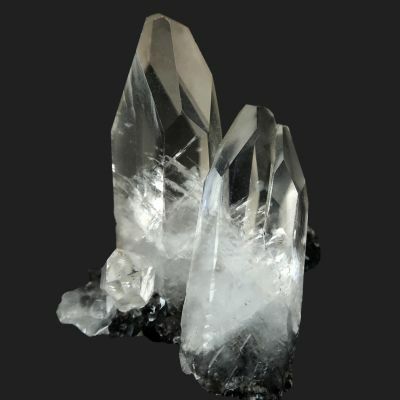 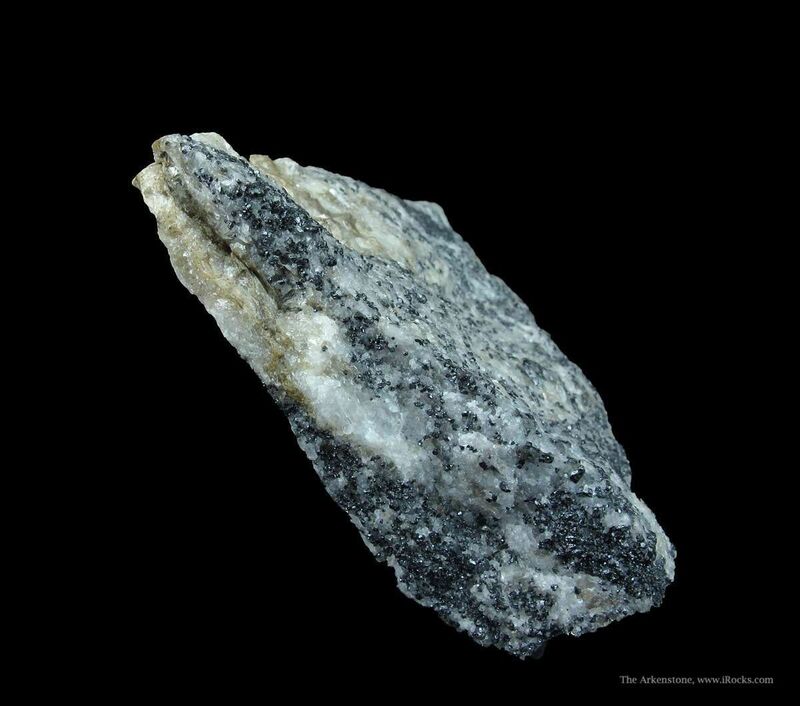 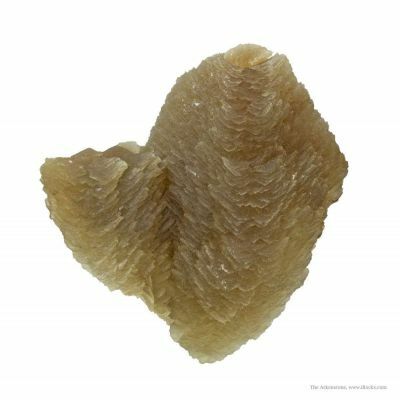 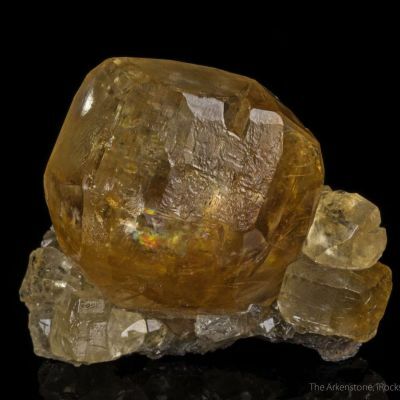 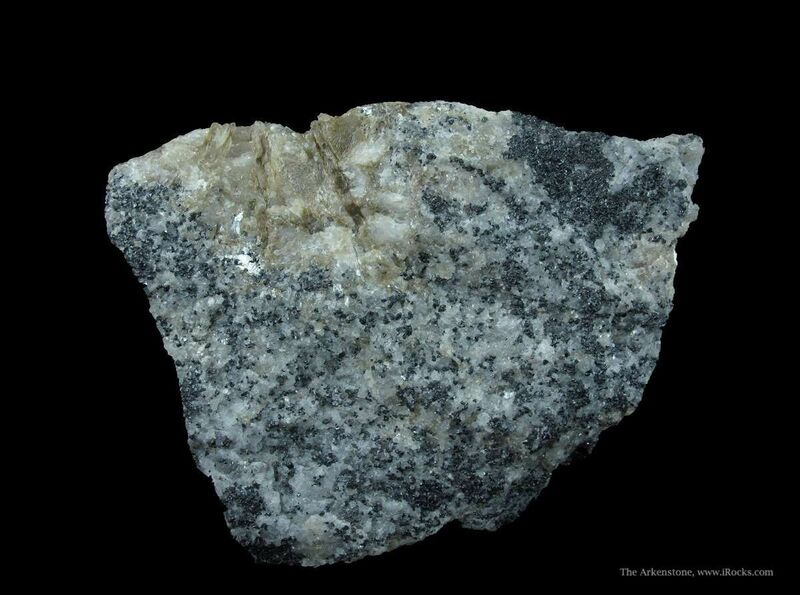 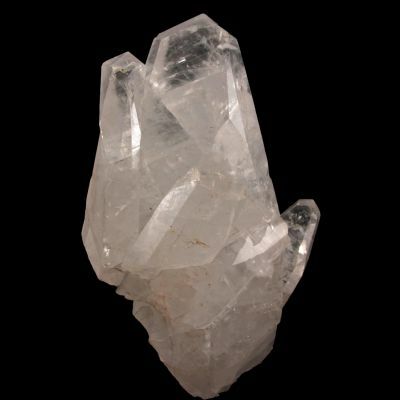 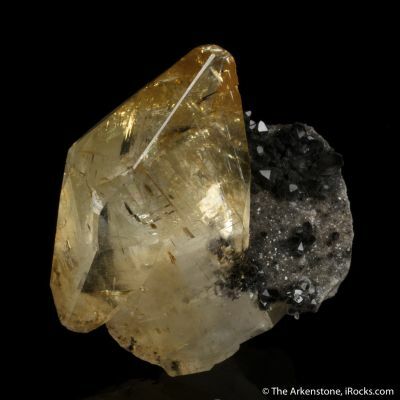 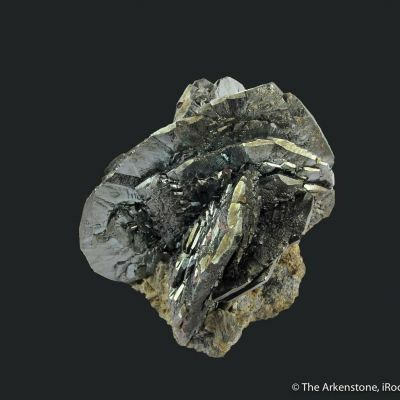 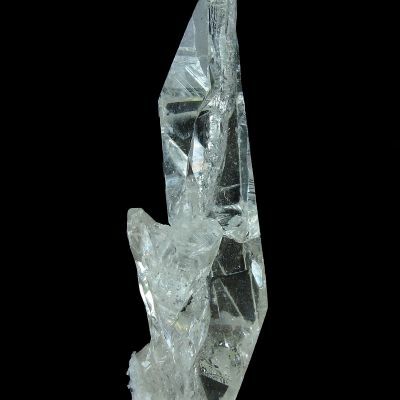 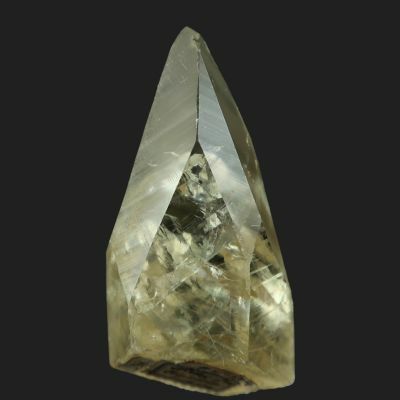 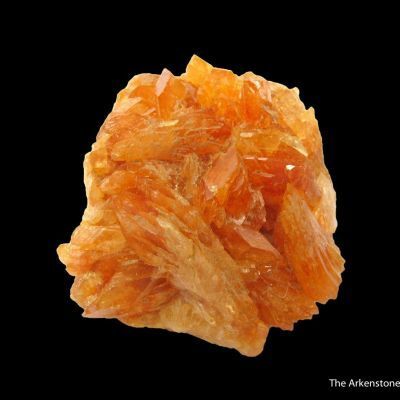 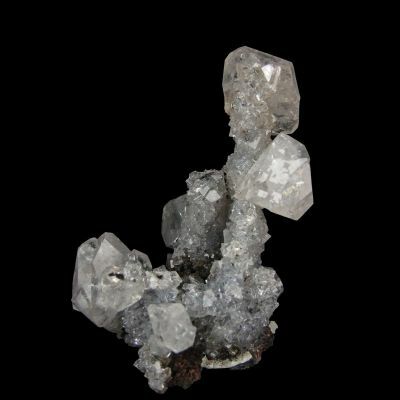 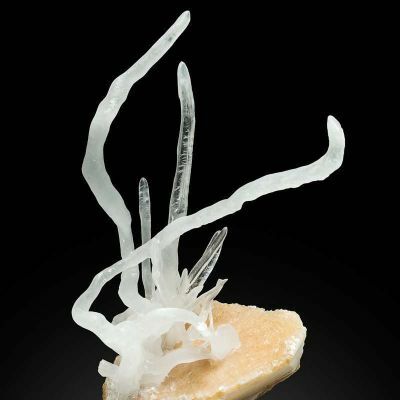 Tinzenite, a member of the Axinite Group, is a rare borosilicate. 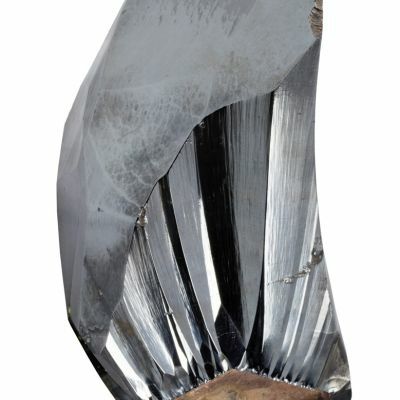 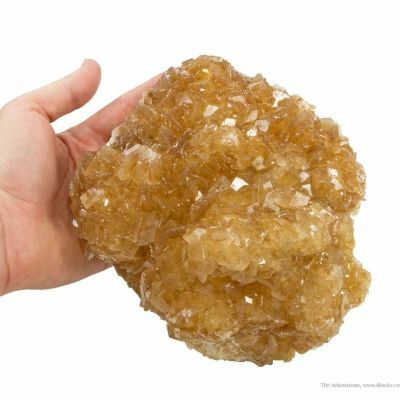 The layered crystals, which are up to 1.6 cm in length, have superb vitreous luster. 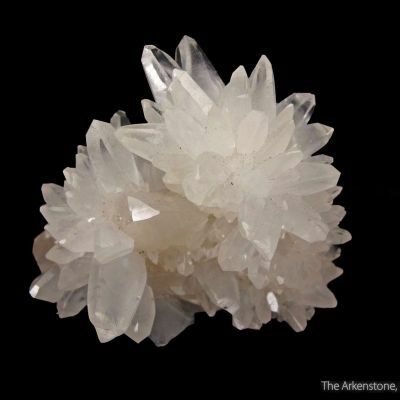 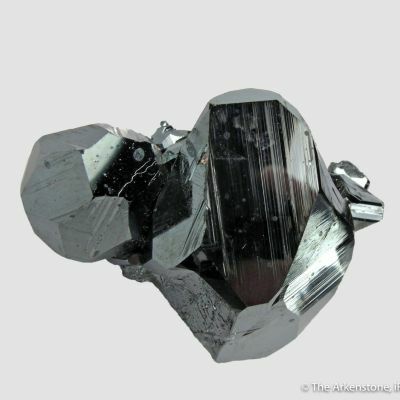 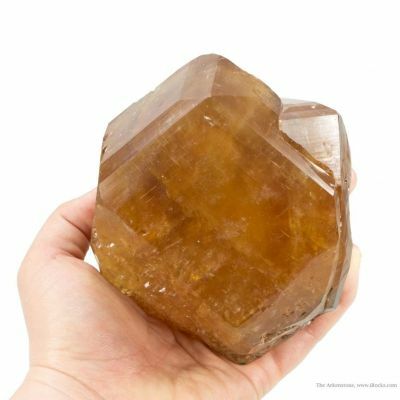 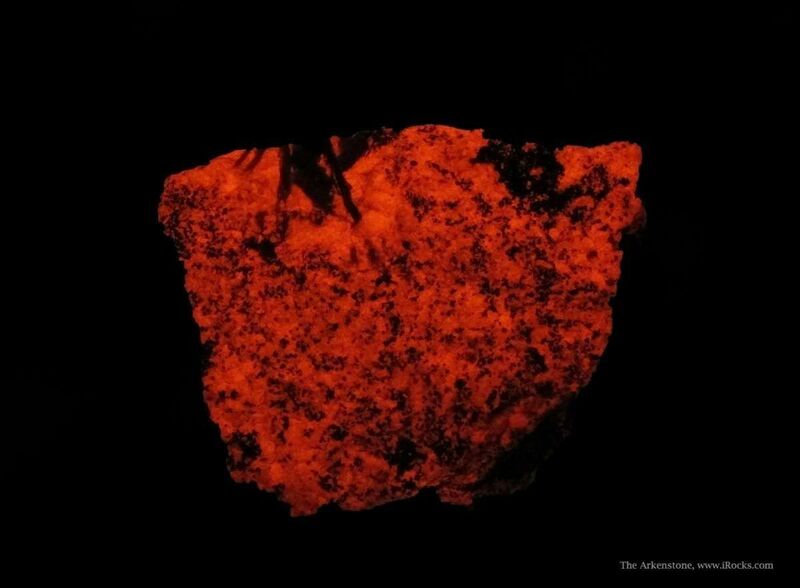 The Tinzenites are set in a matrix of fluorescent Calcite and very fine Hematite. 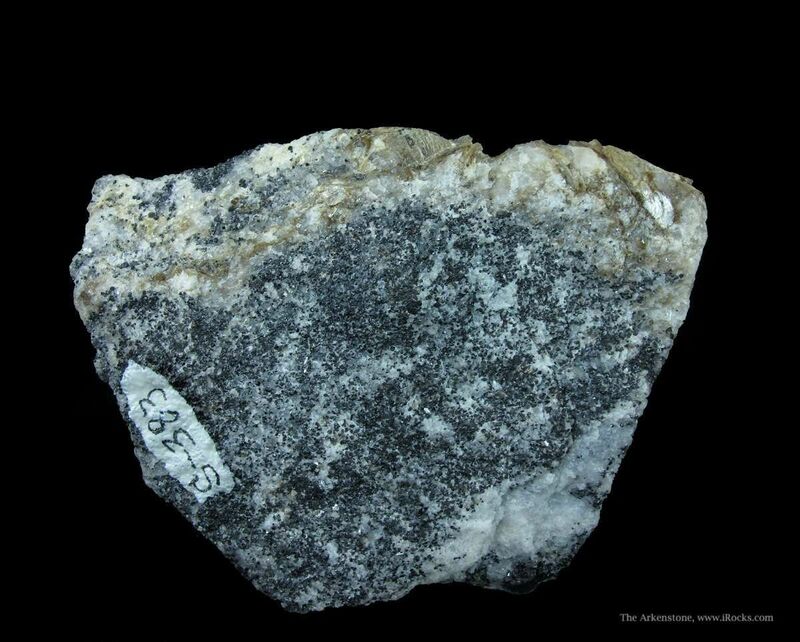 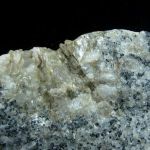 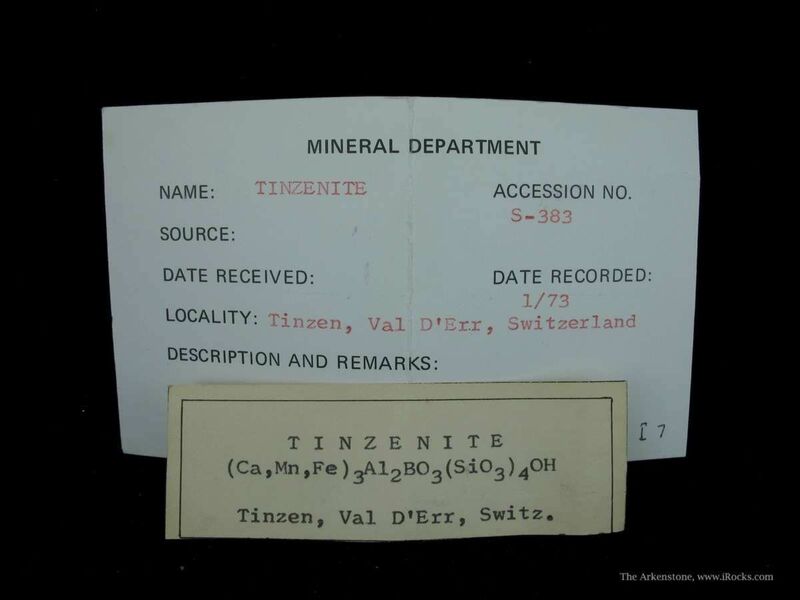 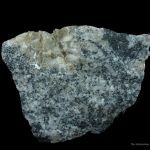 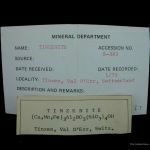 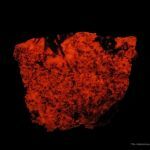 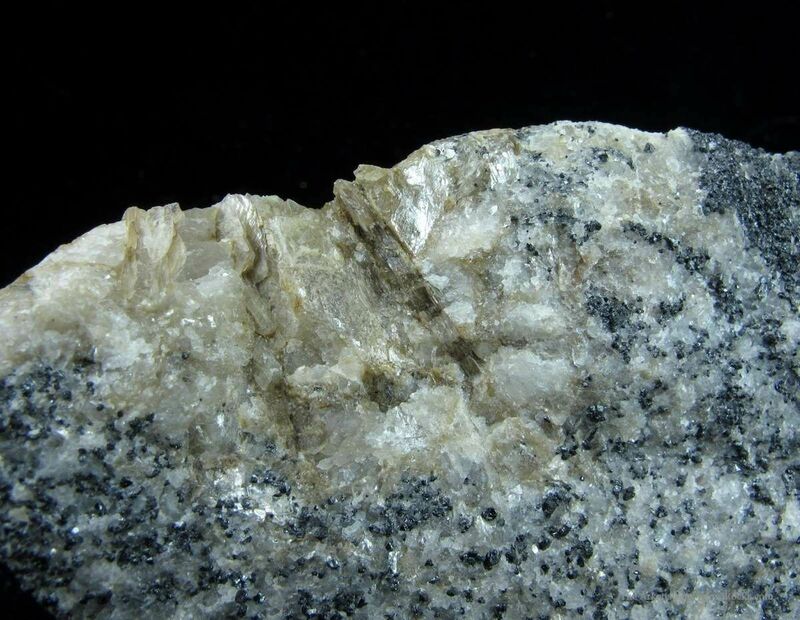 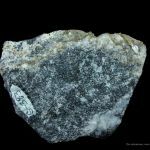 This is the Type Locality for Tinzenite, and the overall piece is a fine, representative specimen with great mineralogical interest.